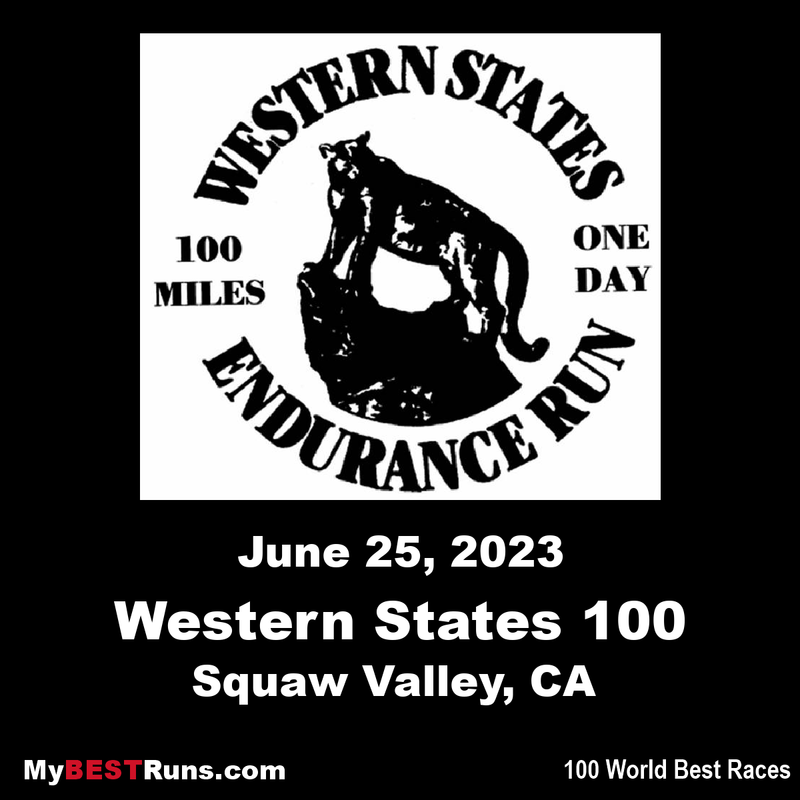 The Western States ® 100-Mile Endurance Run is the world’s oldest and most prestigious 100-mile trail race. Starting in Squaw Valley, California near the site of the 1960 Winter Olympics and ending 100.2 miles later in Auburn, California, Western States, in the decades since its inception in 1974, has come to represent one of the ultimate endurance tests in the world. Due to the remoteness and inaccessibility of the trail, the Western States Endurance Run differs substantially from other organized runs. Adequate mental and physical preparation are of utmost importance to each runner, for the mountains, although beautiful, are relentless in their challenge and unforgiving to the ill-prepared. The Western States Endurance Run follows the middle portion ofthe famous Western States Trail, a nationally dedicated recreational trail thatstretches from Salt Lake City, Utah, to Sacramento, California. 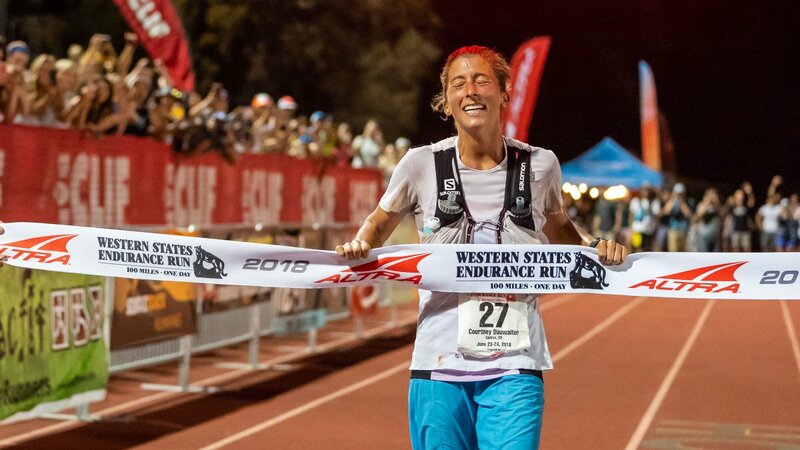 One of the mostarduous organized running events in the U.S., the Western States 100 is trulythe “Ultimate Challenge” for the long distance runner. Entry in this eventshould not be taken lightly! Beginning in Squaw Valley, site of the 1960 Winter OlympicGames, the trail ascends from the valley floor (elevation 6,200 feet) toEmigrant Pass (elevation 8,750 feet), a climb of 2,550 vertical feet in thefirst 4½ miles. From the pass, following the original trails used by thegold and silver miners of the 1850’s, runners travel west, climbinganother 15,540 feet and descending 22,970 feet before reaching Auburn, a smalltown in the heart of California’s historic gold country. Most of the trailpasses through remote and rugged territory. People who are unfamiliar with thearea should use caution when planning training runs, especially in the highcountry. Before leaving, let someone know where you will be running and whenyou will return. REMEMBER THAT MUCH OF THIS TERRITORY IS ACCESSIBLE ONLYBY FOOT, HORSE OR HELICOPTER. Due to the remoteness and inaccessibility of the trail, theWestern States Endurance Run differs substantially from other organized runs.Adequate mental and physical preparation are of utmost importance to eachrunner, for the high mountains and deep canyons, although beautiful, arerelentless in their challenge and unforgiving to the ill-prepared. 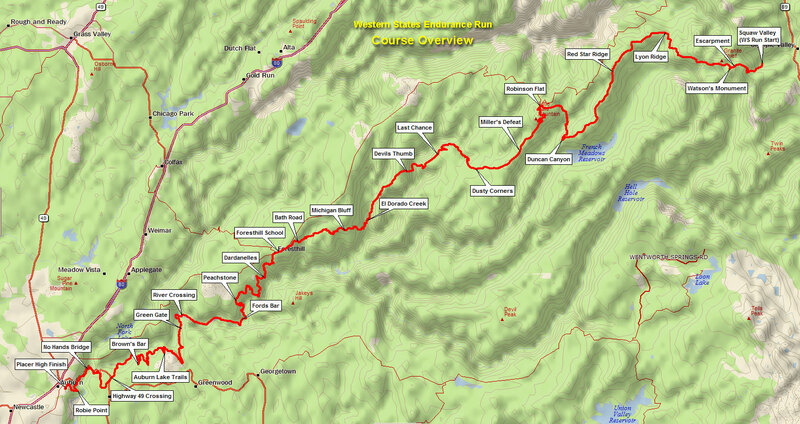 Course Route: The Run will follow the same basiccourse used since 1986 unless snow conditions force a route change. Familiarity: Knowledge of the trail offers bothphysical and mental advantages during the Run. Participants should make areasonable effort to run as much of the trail as possible before Run Day.Particular attention should be given to those sections that you expect to runin the dark, when your mental and physical energy may be lagging. After Dark: AS ALMOST A HALFOF THE TRAIL MAY BETRAVELED AT NIGHT, EACH RUNNER SHOULD CARRY TWO LED FLASHLIGHTS. If your lightsfail, wait for another runner with a light. Do not try to find your wayin the dark. If you are the last runner, wait for the Search and Rescue sweepteams. Plan to pick up a flashlight in Foresthill, regardless of what time youreach that point. If you are a 28 to 30-hour runner, plan to pick up aflashlight in Michigan Bluff. Weather: Since temperatures during the Run can rangefrom 20 degrees to above 110 degrees Fahrenheit, participants should be fullyprepared for both extremes. Weather conditions are unpredictable and can changerapidly. River Crossing: At 78 miles, runners must ford theAmerican River near the Rucky Chucky crossing. The ford is dangerous and SHOULDNOT BE ATTEMPTED ON TRAINING RUNS. On Run Day, a guide rope will be stretchedacross the river, with personnel available for assistance. River rafts are usedin high-water years. Wilderness: The remoteness of the trail can lead todisaster for anyone not experienced in the “backwoods.” For your own well-beingand survival, we recommend that you do not attempt a training run alone withoutletting someone know exactly where you are going and what time you will return.Trail markings will not be completed until a few days prior to the Run. Westrongly advise people who are unfamiliar with the area to buddy up with a“native guide.” Carry ample fluids, a water filtration pump and food supplies.There are dry stretches of over 8 miles during the Run and of 16 or more milesduring training runs. Trail Markings: Trail markings will consist ofpink surveyor’s tape tied to branches, “W.S. TRAIL” signsnailed to trees, and arrows and signs. (“Pioneer Express Trail” markers arelocated along portions of the trail. Do not refer to these as Run markers.) Inaddition, reflectors will be placedalongthe last 38 miles of the trail for the dark hours. Run Managementdoes its best to provide an adequately marked trail, but it is necessary forrunners to continually remain alert as they travel. On occasion, persons notassociated with the event have altered or removed course markings, or Runmanagement cannot place signage at a critical turn on Run day due to unusualcircumstances. A working knowledge of the trail, particularly of those milesthat will be covered in the dark, will be of infinite benefit to the runner whoattempts the Western States Endurance Run. YOU are ultimately responsible tofollow the correct course. Drops: If you have to drop out of the Run at apoint where your crew is unavailable, we will make every reasonable effort toget you to the finish or to the nearest major checkpoint that is still inoperation, particularly if you are in need of medical attention. Innon-emergency situations, you may have to wait several hours before beingevacuated. Runners having to drop from the Run BEFORE the Foresthill aidstation will be taken to Foresthill. Runners having to drop AFTER Foresthillwill be taken to the finish line. Our principal responsibility is to put on aRun, not to run a shuttle service for non-finishers; so please be patient. Aidstations will close when the footed sweeps or drag riders arrive. Trail Etiquette: Please be courteous to hikers,other runners and horsemen. Collisions on these narrow trails may bedisastrous. If you wish to pass another runner, ask for “trail right” or “trailleft” before attempting to pass. Slower runners must yield the trail to runnerswishing to pass. Horses may be spooked by the sudden appearance of a runner,with serious consequences to the rider. Stop and step off the trail to letoncoming horses pass. Runners should never pass a horse from behind withoutfirst notifying the rider. Volunteers: Approximately 1,500 dedicated volunteershelp out at each Western States Endurance Run. They are truly the life-blood ofthe Run and will do everything possible to make your day a success. Many spendmore hours out on the trail than do the runners themselves. Please be politeand make a point to thank them. 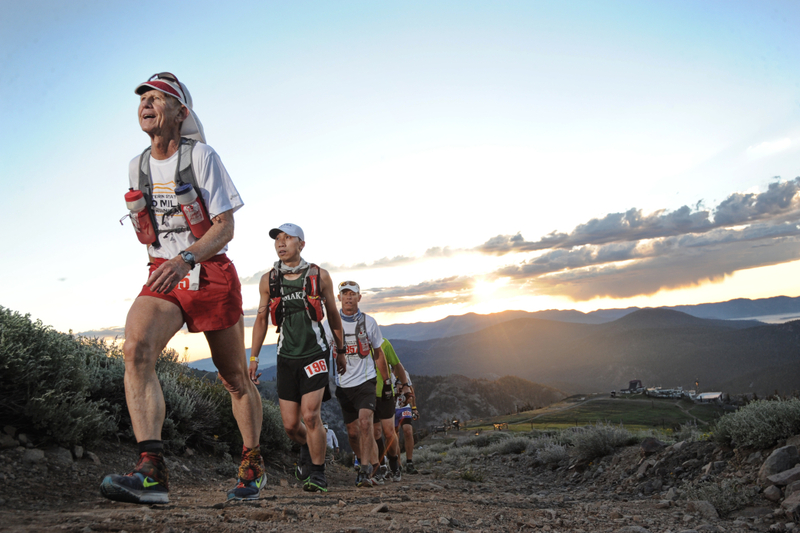 Without the volunteers, there would be noWestern States 100.